When it comes to customers on hold, silence can be deadly for a company’s bottom line. Studies have shown that 90 percent of callers will hang up after 40 seconds of dead air, and 30 percent of those will never call back. That’s why having compelling on hold messages is so important. At Worldly Voices, we’ll help make sure the transcript you create is a polished, engaging presentation that will keep customers on the line as you educate them about your products and services, provide updates on new developments, or even recount your company’s history and achievements. With more than 20 years of experience in the industry, we’ve produced countless on hold messages for a diverse range of businesses, including health care providers, financial institutions, and insurance companies, just to name a few. We know what it takes to keep callers from feeling abandoned while they wait to speak with a representative and can offer advice if this is your first on hold recording project. We can even provide sample scripts upon request for additional inspiration and insight. On hold messages present a unique opportunity for companies to communicate with customers in a manner that isn’t confined to a pre-determined timespan the way commercials are. Take full advantage of the situation by giving listeners a compelling reason to stay on the line. 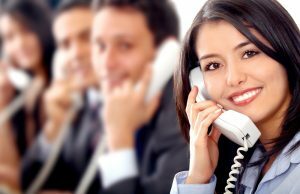 Contact Worldly Voices today to speak with a member of our staff to learn more about the on hold messaging services we provide.